This entry was posted in Developing Alternatives, Exchange Design, Exchange software and tagged community currency, credit clearing, Cyclos, exchange platforms, software. Bookmark the permalink. Although it’s tasteless to promote something I’m at the centre of, I’ve been pushing on with Cclite: http://www.hughbarnard.org/content/cclite-alternative-currency-software for quite a while. It’s mainly oriented towards mutual social credit, but it’s gradually broadening with REST, SMS interfaces and draft modules that connect to Drupal and Joomla, for example. There is a substantial manual and roughly [machine] translated templates for a great many languages. We’re working actively on the French and Chinese at the moment. My personal view is that it’s ‘safer’ that there be some diversity in the software offer for CCs, both architecture, language, approach etc. Just to update the Cclite URLs: https://sourceforge.net/projects/cclite/ and: https://github.com/hbarnard/cclite I’ll try and update my private website in a while. 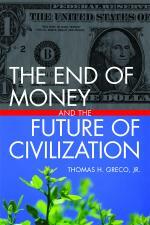 Can you use a complimentary currency with Cyclos as described in The End of Money and the Future of Civilization? Thomas Greco’s wonderful book says you should use at least 15 commodities. Can these commodities be automatically updated in Cyclos as they change in the market? The choice of technology platform is key to issues of flexibility and security, and at the Java level of technology those two work against each other. I’ve looked at Cyclos a bit. For this application I agree a J2EE platform is good for security, but adds work for flexibility. You can make a Java/J2EE application flexible, but not without a lot of extra work. It looks like the Cyclos team has done that work. The Drupal/PHP platform is known as a low barrier of entry technology. This works for and against you. It’s easy to start new developers, but hard to do solid work. In software, people often talk about ‘power,’ which means two things: both that you can do sophisticated things easily, and that you can do things correctly–that there are features of the technology that let you do what you want without giving you rope to hang yourself with. Java is the second, PHP is marginal in either. Drupal is a content management framework built in PHP that acommodates the second somewhat, and provides a lot of the first, but… I have never understood why they chose PHP to build Drupal. It’s like building a car out of seashells or something. The big fashion in platform technology right now is Ruby/Rails (the language Ruby, the platform Rails). Ruby is based on better ideas than PHP, but it gives you more rope than Java. Python/Django is similar. The metacurrency project, sort of the ultimate in flexible currency systems, is built in Rails. The one I’ve been looking at most recently is Scala/Lift, which provides some of the flexibility, ease and conciseness of Ruby and rigor and robustness beyond Java, at the cost of some complexity. Recently the site Foursquare switched from Ruby/Rails to Scala/Lift with big wins in performance and security. Remember, you can do good or bad work in any language and any platform, but they all push you in some direction, and they all have their cults, shaped by the priorities and personalities of the designers. Is the source code to Cyclos still unavailable? makes me question whether STRO is being upfront about their Open Source claims. As stated in the documentation. The entire source code is published with each release (basic install package). Since more than 4 years we have been using Cyclos connecting hundreds of enterprises and consumers in El Salvador (CA). It has been a very positive experience. It is secure, robust (no structural failures), and highly customizable. Since last year we implemented successfully payments by SMS text messaging through Cyclos which has been a major breakthrough. We process more than 1500 transactions a month, 40% are SMS payments. We do understand the limitations to adjust the software to some particular local functionalities, but we have learned to become creative by using and exploring the many Cyclos functionalities. We know as well by experience that STRO takes into account comments of users. Bugs have been solved quite quickly, while new functionalities – when considered of benefit for several organizations – do have follow up though it might take more time due to their working schedule. In recent years, we have as well promoted and implemented Cyclos in other projects with interesting results due to the flexibility. If our experience can be of any use, please let us know. We are willing to help to make the software as helpful for your organization as it has been for ours. Hello Koen,i am also trying to setup cyclos but its so complicated getting all the functionalities work.Please will you assist me?I went through your website although its all in Spanish and could not understand it all.I should say it really looks great!I have already installed cyclos and its running but setting the functionalities is so complicated.Please email me back on seintitus@gmail.com and i will give you the login details of my cyclos so you can have a look.Thanks in advance. I’m the IT director for Qoin, a Dutch foundation that implements CC programmes all over Europe. We made the decision to go with Cyclos 3.6 just over a year ago, and I have to say I’m very happy with that decision. Bear in mind that we have a number of largescale, professional programmes up and running – examples include The Brixton Pound (London, UK), The Bristol Pound (also UK, launching this September), Makkie (Amsterdam East), Caire (Netherlands-wide) and Dadelen (Belgium). My experience as someone who has worked in IT for over 15 years is that people are always very quick to criticise long established systems/software, whether or not viable alternatives exist. We took a look at the whole landscape of CC software and came rapidly to the conclusion that there is nothing out there which is even remotely as secure, configurable and functional as Cyclos. So it was a no-brainer for us. If you look at the feature-sets offered by Matthew Slater’s Drupal module, or other similar systems (I don’t know jubilee.net but I’m guessing), they are minute in comparison to what is available in Cyclos – which is not to deride them in any way, just to be pragmatic about where they fit in, and what they are suitable for. We also noted that there are a great deal of hobbyists active in the CC space. Qoin is not amongst these – we work on professional programmes with major funders and institutions. We eagerly anticipate Cyclos 4, which will take a quantum leap in terms of the UI, and the web services (APIs) available to interface to other systems – but for the time being, Cyclos 3.6 is serving us well. It is resilient, stable and secure – and as we are responsible for 1,000’s of transactions happening every day, that is very important for us. Michael Contardi says that Cyclos is difficult to set up and host. I don’t agree. I had it up and running in less than an hour on my own *nix server, no trouble at all. However what I would say is that Cyclos is a largescale, professional system. It requires IT knowledge and expertise to run it properly – which is not surprising when you consider it has been designed with the same concepts in mind as online banking systems. It’s a not a blogging platform or a one-click install – and nor should it be. I also don’t agree with those who say that the documentation is poor. Take a look at http://project.cyclos.org/wiki/index.php?title=Main_Page – the documentation is admirable in its completeness and detail, and indeed this resource (along with the complete JavaDocs for the project, and code examples) has helped me and my team many, many times. I’ve already mentioned a number of our professional programmes that are using Cyclos, which are completely separate to Stro. I know of another very successful CC (Sardex in Sardinia) who are also about to migrate to Cyclos. Finally, I would like to note that the Cyclos team are generally very responsive to individuals and organisations who are prepared to work with them, rather than regarding them merely as a support line. Their software is free and open-source – they are not paid to support other people projects – even though they try their best to do so! I hope this provides an alternative point of view, from someone who is a very active Cyclos practitioner, outside of Stro. Many thanks for your comprehensive overview of the Cyclos platform and the report of your own positive experience with it. I’m sure others will find it very helpful. Thanks for your important clarifications. I just wanted to respond to your comments about what I said. Note that what I said was that it was difficult to set up “for the layman” You say you don’t agree, but then you say “It requires IT knowledge and expertise to run it properly” which was exactly my point, the layman or average community currency organization doesn’t necessarily have the skills required in house and outside parties are needed to help. I also mentioned that it has been hard to find qualified people to work on it that are familiar with it. I’ve searched quite a bit for people familiar with Cyclos and have only just recently (through this comment thread), been successful in locating an independent party with experience. I don’t think this is a reason to reject it, I was just pointing out some of the challenges in choosing it. Hugo from Stro has been very responsive by email in answering numerous questions, and I wouldn’t expect that he would or could provide free ongoing support and advice to every group that requests it. I just didn’t want to pay for anyones learning curve and was trying to find someone who is already familiar, because despite any drawbacks it may have, it still does have the functionality and security that we require, at a price (free) that we can afford. Hi Michael, You’re quite right – apologies for not accurately responding to what you said. The point I wanted to make is that running a platform that allows people to make financial transactions with each other is not necessarily something that should be undertaken by the layman. To run a successful CC programme, some expertise is desirable. I don’t however think the level of expertise needed is completely prohibitive, and I’m glad if this blog post has helped you to find someone. Needless to say, Qoin also exists very much to provide this expertise and to help others. The intrinsic value of the accounting units is a very important distinction which runs right through the science and history of monetarism, and has implications for software too. Having read the RFP for the Brixton pound digitisation I agree that, with one year to launch, and so much funding, Cyclos was the only option. Please note that the drupal module has been completely rewritten for Drupal 7 since then. It is not my intention that this software ever attain the security standards of dedicated banking software. In my view, if a money is pegged to and backed by a national currency, then it isn’t complementary currency, but merely a proxy. On the other hand, a pure local accounting unit is much harder, in principle to steal and to spend, and users of those systems want features, flexibiilty, integration, futureproofing, usability, standards, modularity, documentation, much more than bulletproof security. So for me the way I characterise the two packages – Cyclos, as it says on the tin, is banking software, with all that entails about security, since nominally at least, the bank is responsible for holding people’s assets. My drupal module, Community Accounting as it says on the tin, is accounting software. Which means its main job is to log payments between accounts using, in most cases, worthless-in-themselves accounting units. The Dutch government has invested millions of Euros to develop Cyclos and now I understand, funds have been pulled and STRO’s top down implementation model is looking less sustainable. I guess Monea hopes to take that baton, which is great for Monea’s 6 projects backed by NEF’s intellectual clout and its experienced fundraisers and full time staff. But the vast majority of currency initiatives have next to no resources or expertise, and need to start informally, and bootstrapping themselves using easier tools. Thanks, Matt, for that explanation. Different tools for different uses, eh? One more thing: people are still getting confused by terminology. Terms like “pegged to” and “backed by” mean different things to different people. We need clarity about definitions. The essence of a currency is CREDIT measured (expressed) in terms some defined UNIT. I presume you mean by “pegged to” that the value of the local credit unit is set nominally equal to the value of the prevailing national currency unit. I also presume that by “backed by” you mean REDEEMABLE INTO national currency. When you say “a pure local accounting unit is much harder, in principle to steal and to spend,” it is not the “units” that are hard to steal but the credit in an account. That may seem like nit picking but there has been so much confusion between in people’s minds that a clear distinction needs to be made between units of measure and the essence of the things that are being measured. I am member of the Cyclos development team and would like to respond to some of the claims. It is actually the opposite. STRO is involved only in a few projects that use Cyclos. There are quite some large projects using Cyclos and the number is growing strongly. A the project site you can find a list of Cyclos users: http://project.cyclos.org/cyclos-users. Be aware that are various enterprise users that preferred not to be listed. There is an active forum and questions are being answered at daily base. It is true that we have not the time and resources to give consultancy on modifications and customizations. But it is an open forum and the idea is that user can help each other. The chose of J2EE has been very well thought over. When developing banking software you have to aim at a long life time for the software. A large percent of banking software these days is built on J2EE technologies. We receive many request for developing specific functionalities. We always respond to requests. But in the development phase we are in we need to concentrate our focus on the main functionality and deadlines. However, as stated at the home page, Cyclos is published open source and the documentation such as a programming guide has been published online. Because of the documentation and program guides, any company that work with Java developers can work on Cyclos. Various organisations and companies did manage to do so. It is true that Java development is expensive. Cyclos is far more than community currency software. It is financial software and we had to implement banking levels of security, integrity and availability. This requires a thorough knowledge and expertise. To avoid the need of modifications we tried to make Cyclos as flexible as possible. The Cyclos structure is entirely dynamic. It supports many types of economic models. But if you need modifications you need skilled developers. For the smaller communities we do our best to facilitate installations by providing default configurations, manuals, quick installs etc. Later this year will launch a free worldwide service for LETS and Timebanks. Of course critic is welcome. It is precisely thanks to user input and critical feedback that Cyclos has become what it is now. But let’s try to be objective and constructive. This thread asked for ‘expert reviews’. It would be interesting to have some real experts looking at this. Hugo, Many thanks for your clarifying input. Hopefully, this dialog can result in quicker progress toward effective solutions. Regarding your claim to projects running Cyclos, keep in mind that there is no barrier to entry or strict qualifier for these projects. They may or may not be running in any serious or legitimate way. I think the key issue is that this space is populated by hobbyists and dilettantes of different sorts so often there is much less there of substance than would appear. How are we measuring a ‘projects that use Cyclos’? J2EE: The enterprise financial space has evolved considerably since the initial architecture designs for Cyclos. Java I do believe is the right choice for a CC platform, but the decisions made at the data layer are actually inhibitive to adoption and customization. The Struts GUI layer is practically inert and unusable as many have noted. Anyone I have worked with who has tried to use Cyclos has found the documentation and community support lacking. The fact is, there is barely any open source community at all, even though we like to promote the technology as such. This is due to a variety of factors which are somewhat complex. Joshua, thanks for your comment. Maybe someone with more technical knowledge of the subject than me can make use of it. You say, “The Struts GUI layer is practically inert and unusable as many have noted.” I don’t know what that means, but can you offer, for those who do, some suggestion on how to improve it? Also, how can an open source project attract more people with expertise to contribute their talents to the effort, including support and documentation? There are currently various Cyclos ‘enterprise’ users. A company in Africa (Ethiopia) has been working over more than one year with a team of five lawyers to get the system ‘legally’ ready for several African countries. Currently 60 local administrators are currently being trained and the system will go life soon. There aim is to provide financial services for ten million customers within three years. They ask me not to publish there name until they go live. In Montevideo Uruguay many taxi’s can be paid by mobile. The taxi company that is offering this service integrated in Cyclos with their GPS software. These are just two examples of larger projects that use (or planning to use) Cyclos. We expect others to follow this year. About the technology. Struts is indeed outdated and will be replaced in the coming mile stone version. We will also provide an extended business layer API. These are only some of the improvements we are working on. Concerning the documentation. We get mostly positive feedback. We are spending quite some time updating the documentation and in our opinion it is clear and complete. You are welcome to have a look at it and tell us where you think documentation is lacking. Although we receive many contributions, Cyclos is indeed not a typical OS project. We do take suggestions seriously and much of the functionality is the fruit of user feedback. However, the decision making is rather centralized. This is for pratical reasons. Cyclos has its complexity. When you aim providing financial services that have a significant economic impact you cannot avoid a level of technical complexity. Only security for example takes about 30% of the development time and costs of Cyclos. Obviously in these times there is great need for complementary currency software. Professional reviews and healthy competition among different products will certainly help getting good solutions. Our team of 7 programmers tried for 6 months to get Cyclos to work for us, but we found it too hard to customize. More importantly, the Cyclos team and STRO proved to be extremely unresponsive to our requests for information or assistance when we ran into a problem. We contacted both their office in the Netherlands and their office in Central America. They never did provide any information or assistance even when we offered to pay for help. We also asked STRO to suggest someone with Cyclos experience whom we might hire to help us. They responded that they did not know of anyone. STRO has also formally announced that Cyclos may not continue to be open source in the next release. So we finally abandoned Cyclos and started over, basing our development on Matthew Slater’s “Community Accounting” Drupal module (http://http://drupal.org/project/mutual_credit). Matthew has responded within hours (often within minutes) to all our requests for help and information. So now we are collaborating with Matthew on a comprehensive, easily-customizable, open-source community currency platform called “rCredits” (see http://rCredits.org). We are also preparing to integrate Open Transactions, for cryptographic signing of credit-creation and transactions (our aim is to create a viable a community-based alternative to the current global economic system). Thank you for reporting on your experience. I’m sure others will find it helpful, and who knows, maybe it will spur the Cyclos team to become more responsive. There are many very good exchange platforms available on the market but almost all of them are proprietary. One possible approach is to form a consortium of interested groups and organizations and combine our resources to BUY one of them outright and work it over to meet our requirements. Certainly it is secure and has the functionality that we need. 1. Difficult to customize the look. 2. Difficult to set up, host and configure for the layman. 3. Difficulty in finding anyone who knows it well enough to provide timely, and reasonably priced tech support. There is only the German group Digiiteskthttp://www.digitekst.org/ and I’ve heard mixed reviews on their responsiveness. I looked at Cyclos a year or so ago, and was not all that impressed. If they improved it since, good for them, but I designed something better in the mean time. What I designed instead is free for public use, and I encourage all mutual credit enthusiasts to use it. It is designed for maximal ease of input and use. It features a personal homepage/storefront, supports trade in goods and services, allows you to instantly verify member credit balances, to upload pictures, and to advertise to the general public. It can be found online at http://www.JubileeNet.org. I would appreciate user feedback, and I will work with any local groups who would like to customize it for their use. Many thanks for your input and for your software. I hope others will try it out and report back here. Does anyone have any update on this jubilee net project? It sounds interesting but I notice the websites are inactive. Cyclos has some serious drawbacks. 2) the internals are based in outdated j2EE technology. 3) documentation is very poor and weak community support. I’ve worked with the Cyclos project in the past. There are few significant projects running Cyclos outside of STRO. Joshua, thanks for your input.